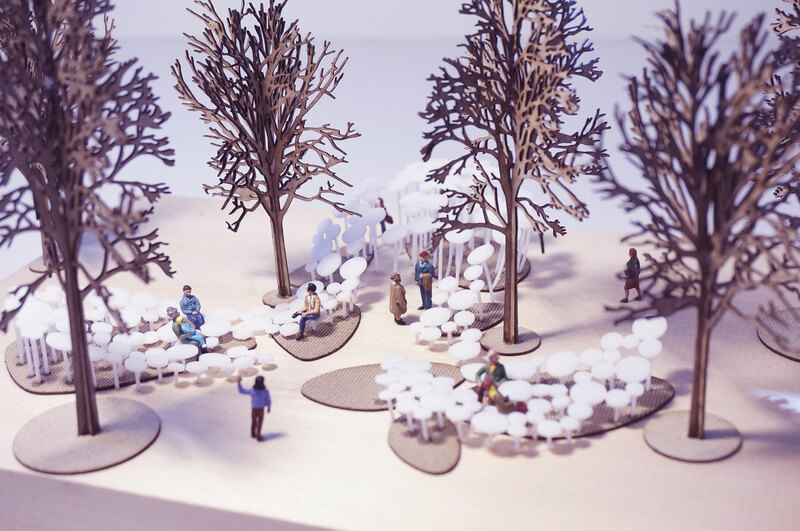 Immersive Cloud is intended to serve both as a medium for providing immersive experiences as well as a platform for fostering social interactions. 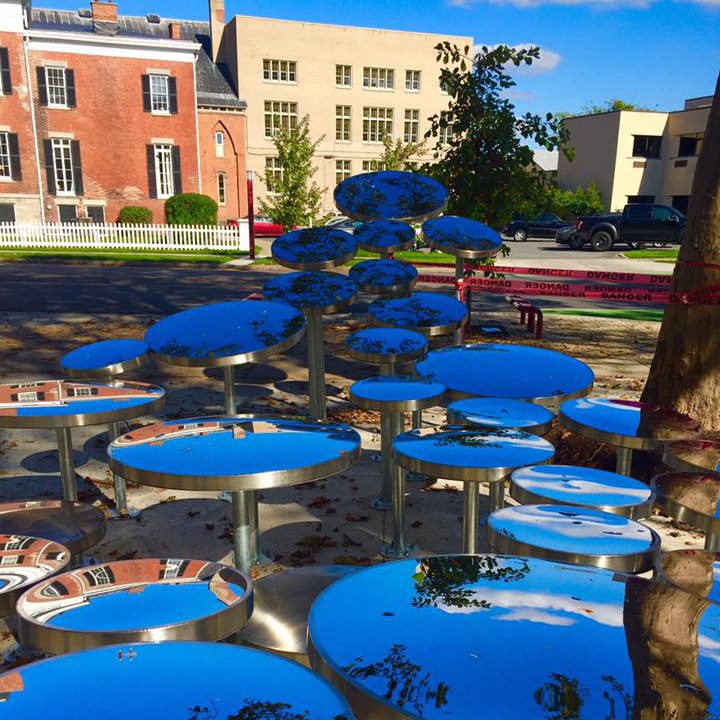 The installation consists of a school of polished stainless steel disks elegantly floating on top of a forest of thin columns. 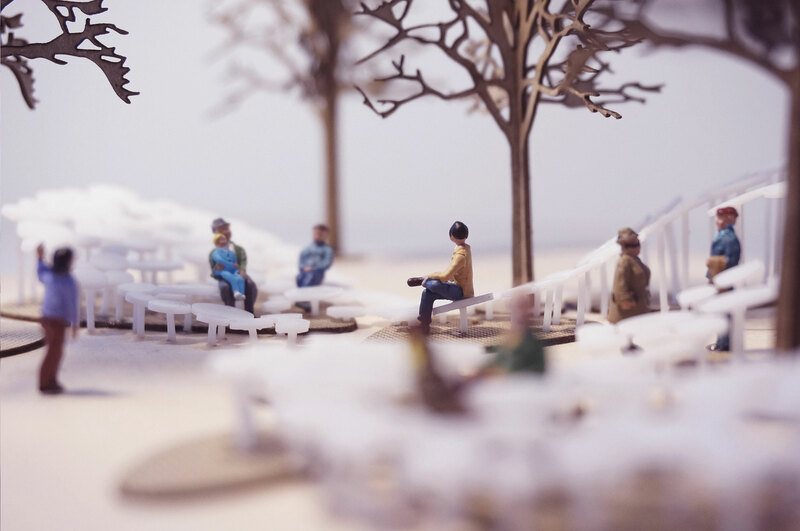 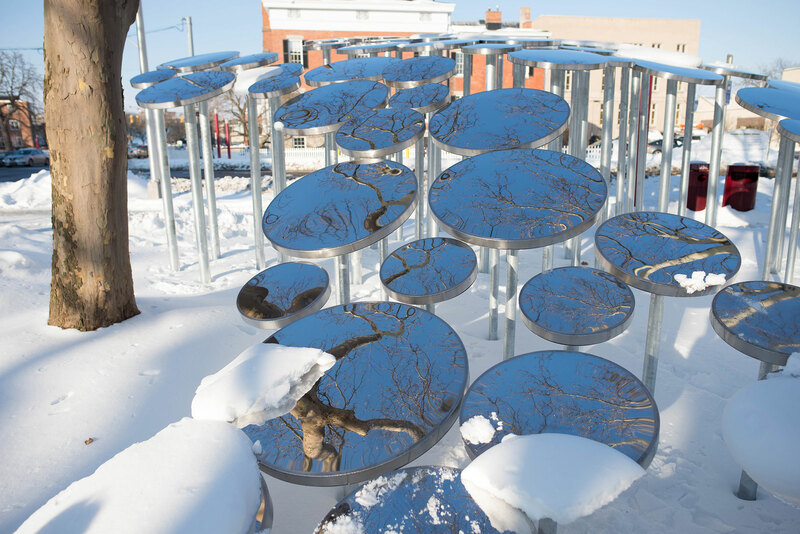 When immersed in the installation, the surrounding environment including the trees, people, sky and the city are reflected, distorted, and multiplied before the eyes. 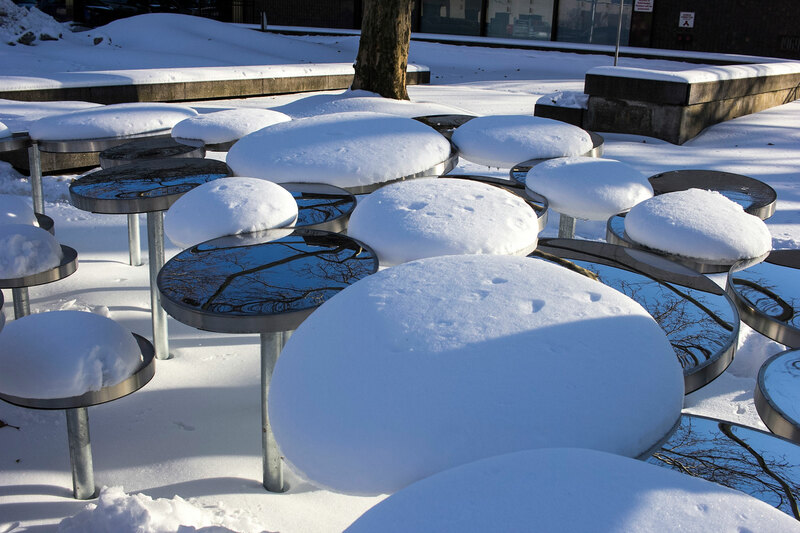 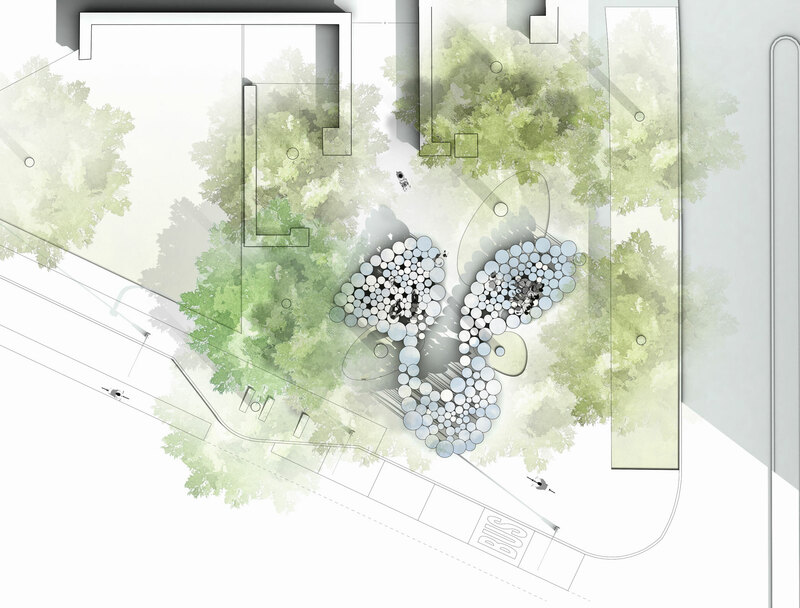 The variety of spaces, formed under and above the undulating disks, can also function as a canopy or street furniture for the public to rest, contemplate, converse, and play. 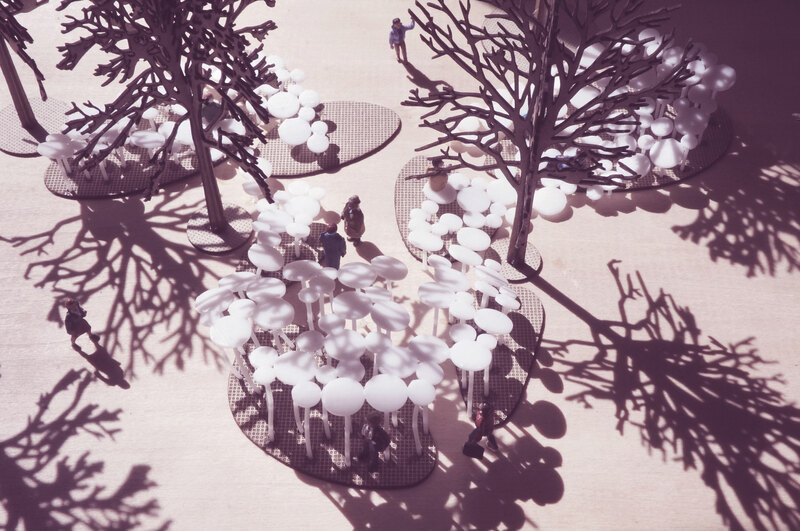 The physical characteristic of the Immersive Cloud will also transform with the changes of the surrounding. 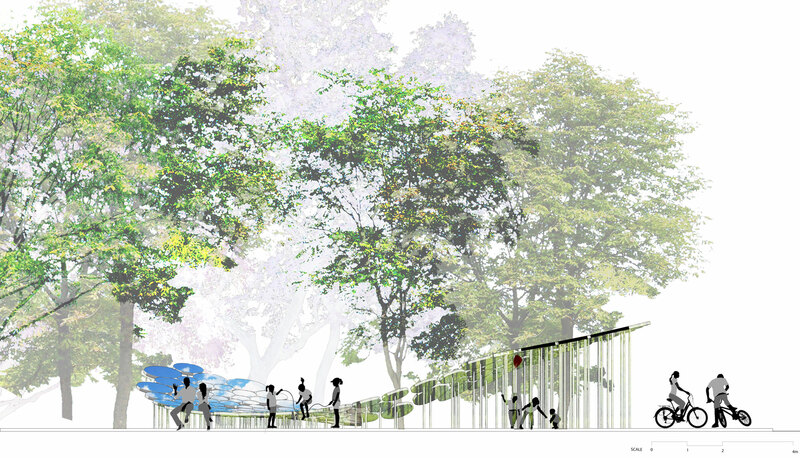 The seasonal color changes of the deciduous trees will be amplified by the reflective surfaces, and the seasonal density changes of the leaves (luscious leaves in summer and no leaves in winter) will create ideal daylighting conditions for each season. 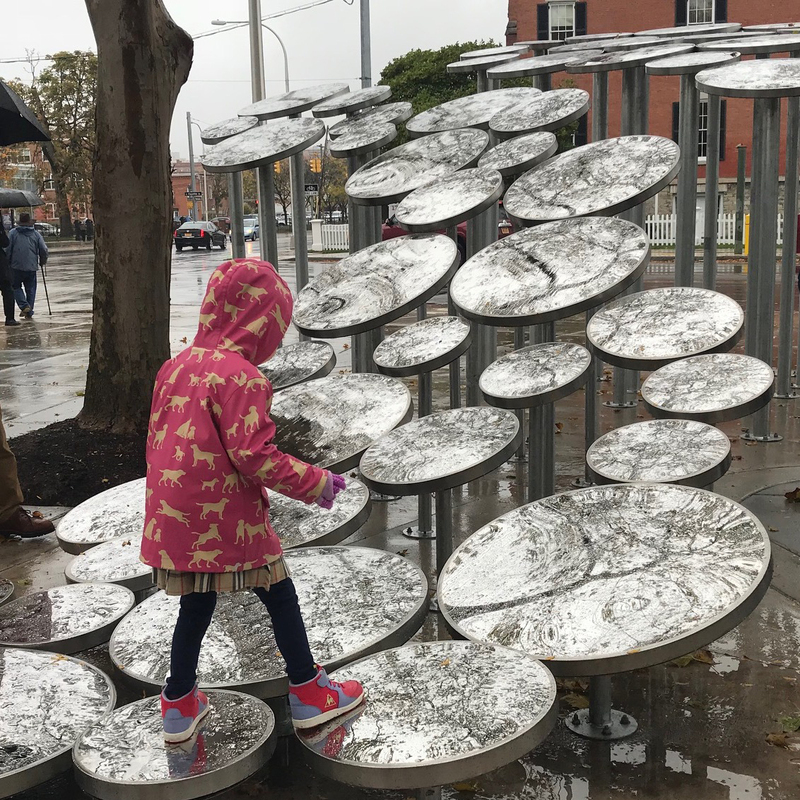 Furthermore, rain and snow will not only change the surface texture and materiality of the installation but also change how the installation is experienced and used by the public. 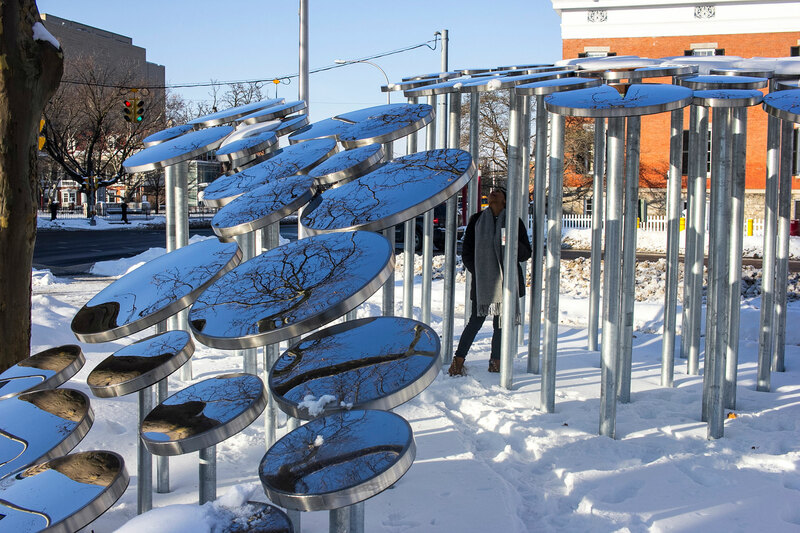 Immersive Cloud is the winner of the request-for-proposal (RFP) for a public installation in downtown Syracuse, initiated by American Institute of Architects-Central New York and 40 Below. 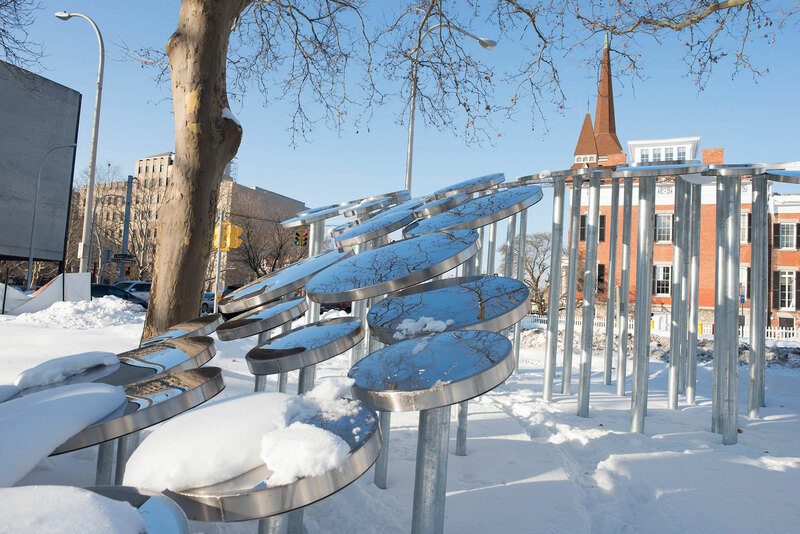 The project is sponsored by Syracuse University, the Downtown Committee of Syracuse, and the Syracuse Public Art Commission.